Computer users having internet connection are most of the time restricted to the Social Media like "Facebook" or just reading E-mails received. Here is a book for them to teach all the details on the subject. Author Raghu Pandey (an Expert on Internet) has spent more than 18 months in preparing this book to make us understand the subject in the most simple and easy way. This is a book for all! I personally know Raghu - the author - for more than a decade now. His way of living life has impressed me in many ways. He is open to do any experiment about life on himself and for that earning money is just a byproduct. 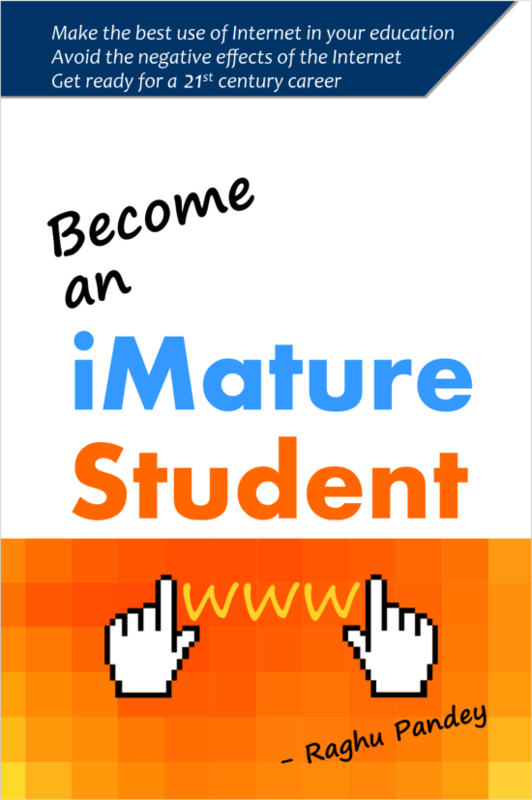 The intense desire to teach students the subject Internet has made him spend nearly one and half a year to write this book. Let me say: it was this virtue of doing social service for self-satisfaction and desire to express knowledge in the simplest and easy to understand way that led him to write this book. I am a regular reader of all the varieties of books on Literature, Science, History, Psychology and Religion. I have written many book-reviews also. But, here, after reading this book again and again, I am speechless. I could not right words to praise and appreciate this book. Simply great! Presentation of the subject is simple and still precise, straight-forward and to the point. It is nice to read a book written as a story telling way, explaining the technically difficult subject in the easiest way. The details of the subject are first classified in five divisions (parts), then explained one-by-one in 16 different chapters, diagrammatically shown and concluded in tabular form. Anyone just knowing to read can understand the contents without help of any teacher, guide or even dictionary! All you need is just to go through the book and start using Internet-sites as suggested. I have never seen such a great technical presentation. Congratulations, Raghu! Social networking, professional networking and online forums. Internet addict: If you spend too much time on internet, you may slowly become internet addict. Do not loose: "Self-control" on internet. Always remember Upload… Share... Send... and Publish buttons are like triggers of guns. Never click on them when you are angry or frustrated. Beware of "Cyber-criminal”, follow online safety rules. Behave with others the way you want them to behave with you. .
Keep yourself away from doing illegal or unethical activities. I can continue telling so many things, but you should be in a hurry to start reading book now. So my un-biased and neutral opinion is to praise the book in total. I advocate reading the book to one and all. Well, get started reading. Best luck! Sir, right now my mind is a bit too numb to choose better words for thanking you for this review of my book... so... "Thank You!". It is yet to sink-in into my head that this elaborate article is actually about *my* work! And by the way Uncle... This is the first full-fledged review I have received for this book. So its doubly special! TONS of gratitude! I am happy you liked my BOOK--REVIEW. Of the book-reviews by me, this is for the first time ever, the author replied oneself. All my praise for the book are true.